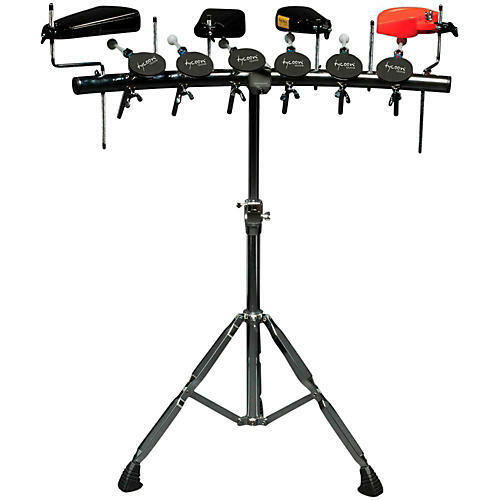 The Rhythm Rack from Tycoon Percussion is a patented one-of-a-kind percussion mounting system which allows for players to easily and effectively play multiple mounted percussion instruments at once without ever picking up a stick. All kinds of mountable instruments can fit comfortably upon the racking system with adjustable mounts. Fully height adjustable, this stand can be broken down easily for travel and storage. The padded paddles provide player comfort, and best of all, no sticks are required!